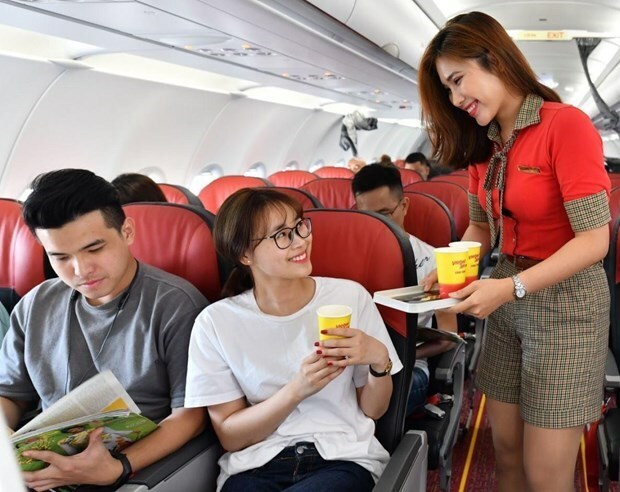 Hanoi (VNA) – Vietjet is offering promotional tickets priced from zero VND every Wednesday on its all routes between Vietnam and Japan. The promotion is applied from now to April 24, 2019 to mark the carrier’s new route between Ho Chi Minh City and Tokyo (Narita). The travel period is from April 1 to December 31, 2019. The Ho Chi Minh City (Vietnam) – Tokyo (Narita) route will operate daily return flights from July 12, 2019. Flying time is around six hours per leg. The flight departs from Ho Chi Minh City at 00:05 and arrives at Tokyo at 08:00. The return flight takes off from Tokyo at 09:00 and lands in Ho Chi Minh City at 13:05.